The end is in sight for downtown Minneapolis motorists and pedestrians who have been inconvenienced for the past few months by lane and sidewalk closures. 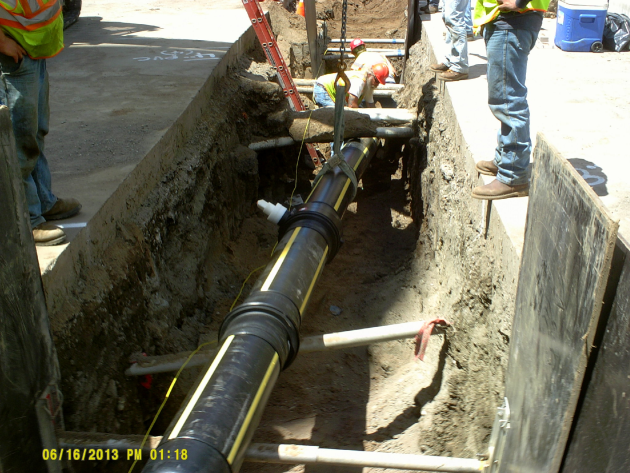 CenterPoint Energy has completed putting in new natural gas lines on portions of 4th Street, 5th Avenue S., and Park and Portland Avenues in the eastern portion of downtown near the Metrodome and City Hall. Now all that is left is to repave the streets, and that is supposed to start this week, said city spokesman Casper Hill. Several people - bus riders, drivers and bike riders - have wondered why the project has taken so long, especially when there have been many days when they did not see workers on site. Concrete jersey walls and detours went into effect in early June and has gone on "longer than expected," Hill said. Heavy rains in June filled trenches with water, which brought unforseen delays as things had to dry out. With the new gas lines installed, the ball is now in the city's court to finish repaving. Concrete curbs were poured last week and they need to cure before asphalt can be poured. That is expected to start this week, probably Thursday, Hill said. Of course, that is weather permitting. Showers and thunderstorms are in the forecast for Thursday. Rebecca Virden said CenterPoint collaborated with the city on the project. 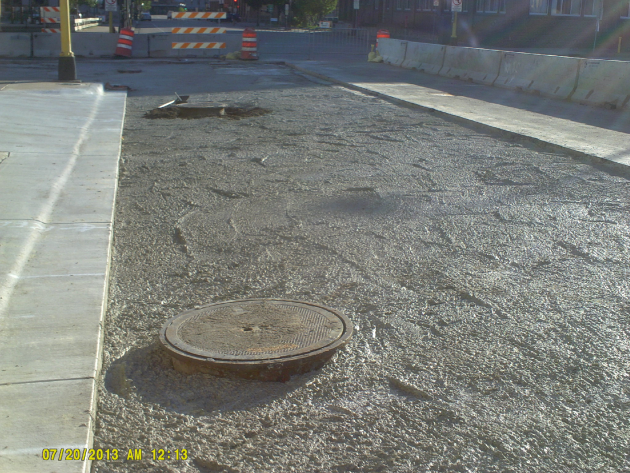 The city has strict standards on the type of soil and underlying material that has to be used to fill the trenches so the new pavement will be able to withstand Minnesota's harsh weather conditions that lead to road contraction and expansion. The utility also wants to be sure water won't have a negative impact on the pipe lines. "That takes a little bit longer," Virden said. We "will put it back in better than original conditions." This is the second year of pipeline replacement in downtown Minneapolis. Look for another round next summer.